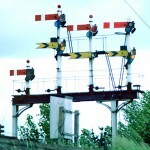 Adrian Putley has some great pages on his website about signalling, mostly GWR but based largely on the Midlands. Great photos and very informative captions. 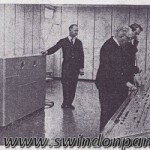 The Swindon Panel Preservation project exists to preserve Swindon Panel, one of the original Western Region “turn push” type panels, the staple panel design of the Great Western since the 1960s, before they all close forever in the next few years. 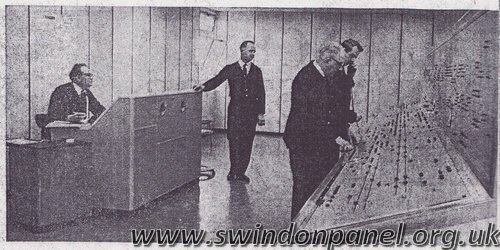 The panel will be reconstructed and refurbished in its 1980′s form and housed at Didcot Railway Centre, where it will be on display and realistically operated with a simulator back-end to visitors to the Centre and railway enthusiasts. 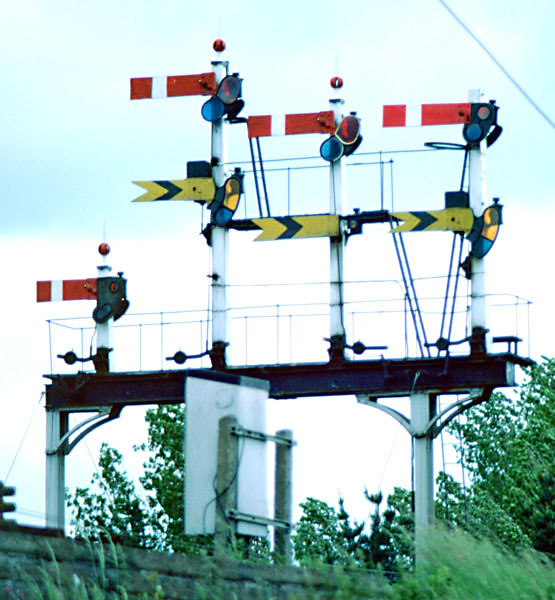 The Signal Record Society: very informative site about British railway signalling. The link takes you to some nice photos of GWR boxes, most of which will be under threat with modernisation. Signal Box: absolutely brilliant source of information about GWR signalling. Signaling Photos is a fantastic archive of signal boxes, panels and all sorts, organised into regions. Alex Seal‘s developing website. It should be impressive when it is more developed. Exeter West Box: a marvellous place to go to find out how signalling used to work on the GWR. Removed to Crewe from its original location, its custodians are able to replicate to visitors through computer simulations a typical summer Saturday in the 1960s when the box would have been at full stretch as trains passed it taking holiday makers to the South West almost ever minute. Severn Valley Railway S&T Dept. has its own website dedicated to signalling. It includes a great map of the location of most if not all signal boxes on the old GWR network, which is quite an achievement in itself. There are also signalling simulation software to download. Very interesting site. Signal Details: some interesting detailed close up photos on 6 pages. Really useful.